← Anzac Biscuits..Australian for awesome oatmeal cookies! Sure, the thermometer says it’s still winter in Indiana, but the calendar says it’s Spring. 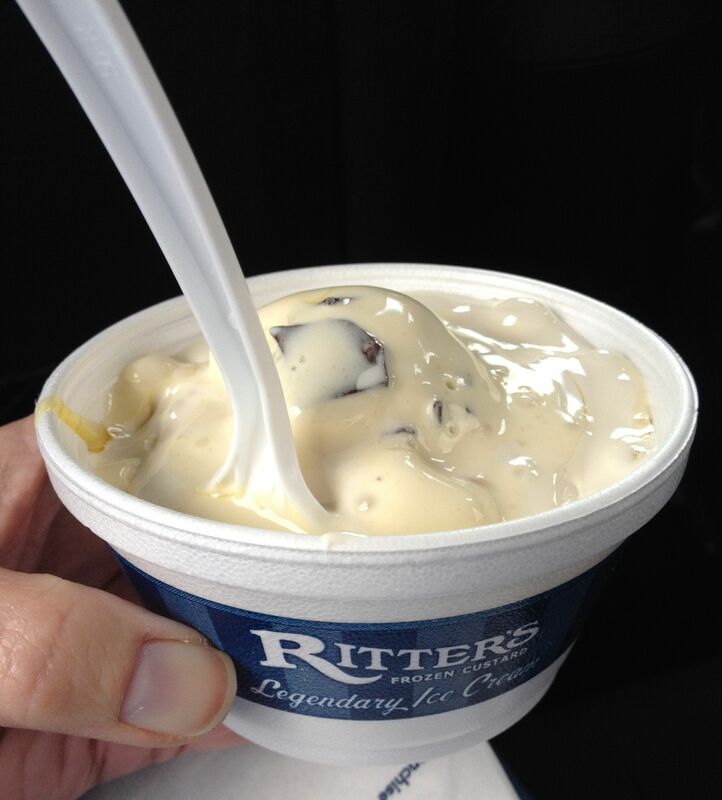 We visited the great Ritter’s Frozen Custard in Franklin, Indiana for scoop of their thick, delicious custard. This was the first Ritter’s which opened in 1989. They now have stands in the midwest states and Florida and Texas. I made it into a sundae by adding butterscotch and my favorite, marshmallow topping. Oh it was good. Here’s a photo. The butterscotch is warm and causes the custard to melt just a bit, so it looks a bit soupy. If you come across a frozen custard stand in your travels, do give it a try. I think you’ll enjoy it, even on a cold day. Posted in Ice Cream, Marshmallow, sweet makers, travels and tagged Bluth's banana stand, Franklin, Frozen Custard, ice cream, Indiana, Ritter's Frozen Custard. Bookmark the permalink. 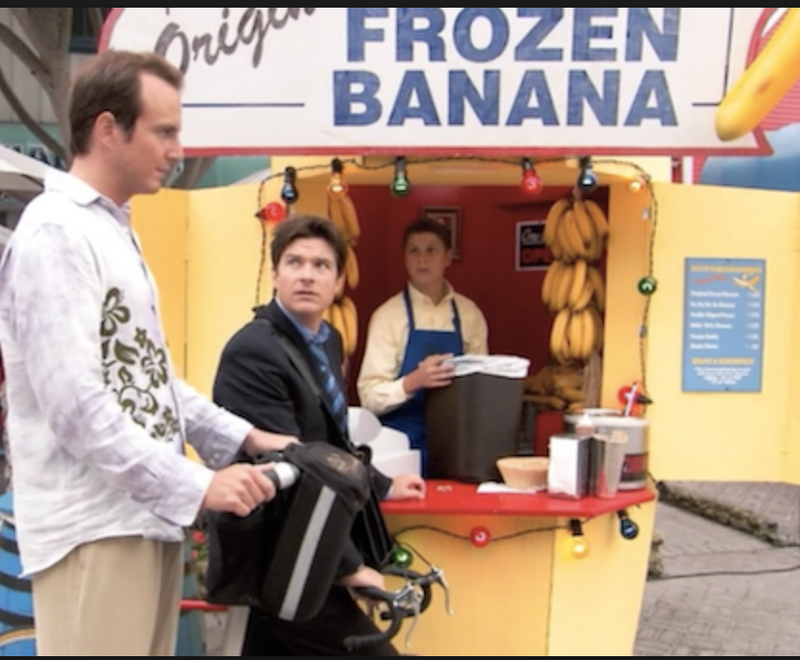 Love how your choice of chocolate covered banana frozen custard played right into your Arrested Development reference, Claudia! YUMMY! !